Is Amazon having an effect on your business? If you answered, “No” I would beg to differ with you. Amazon is continually making its way into the digital footprint. At first, they were able to get into the retail book market and develop a distribution second to none. Next, they came out with the Kindle which took e-Readers to a whole new level. From here, they have been able to not only seal their own tablet, but also interface with Android and iPad tablets. Today, our company offers users the ability to setup their accounts. Unfortunately, we have a system where information is reviewed first and then entered into our system. At Amazon, people can quickly setup and account and order items without any waiting at all. Because of this, we receive complaints from clients that they are not able to access our site right away. Amazon is really promoting this type of culture. Some way, we need to get better in this area. 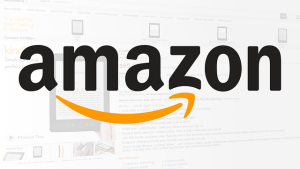 In addition, Amazon has been able to connect with people regarding data storing needs, a retail sales outlet page, a way to rent books and movies via loyalty account. Also, reduced shipping as part of a loyalty program. Amazon has improved the whole client service experience. Amazon is introducing same-day delivery in some areas. Also, integrating local purchasing processes in addition to national purchasing. Many retailers would like to have the same success in this area. Digital technology is hot and digital marketing is even hotter. It really starts with serving clients and it ends with serving clients even better through advances in technology. Check out Amazon Dash – Introduced in 2014! I plan on trying to adapt more of an Amazon Digital Footprint in the future. I don’t think we have much choice.